Mama Dea's Taxi in the queue at the Grand Turk Cruise Center. 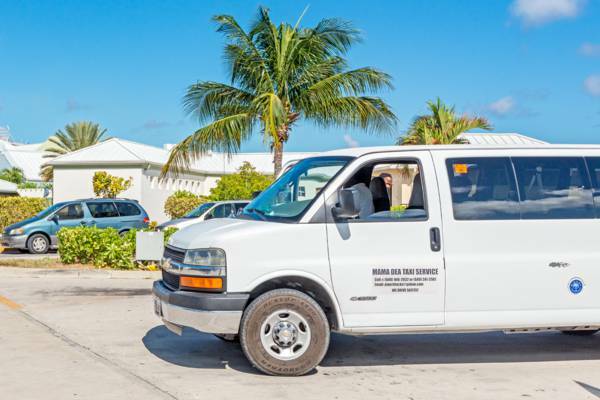 Mama Dea offers taxis and tour services on Grand Turk. Experience the sights and attractions of the island in air conditioned comfort. Complimentary Wi-Fi available in the vehicles. Mama Dea's Taxi at the Grand Turk Cruise Center.